The fibularis longus muscle (peroneus longus muscle) is the second muscle that we’ll cover that is part of the lateral compartment on the outside of the foreleg. Fibularis longus forms one half of the anatomical stirrup. The tibialis anterior forms the other half. The anatomical stirrup is created by the way in which the tendon from the fibularis longus muscle goes under the foot and then attaches to the same two bones as the tibialis anterior. The effect is a “stirrup” for your foot. These two muscles are critically important for our balance and the health and maintenance of the arch on the medial side of the foot. What does the name of the fibularis longus muscle (peroneus longus muscle) mean? The fibularis longus muscle is also known as the peroneus longus muscle. 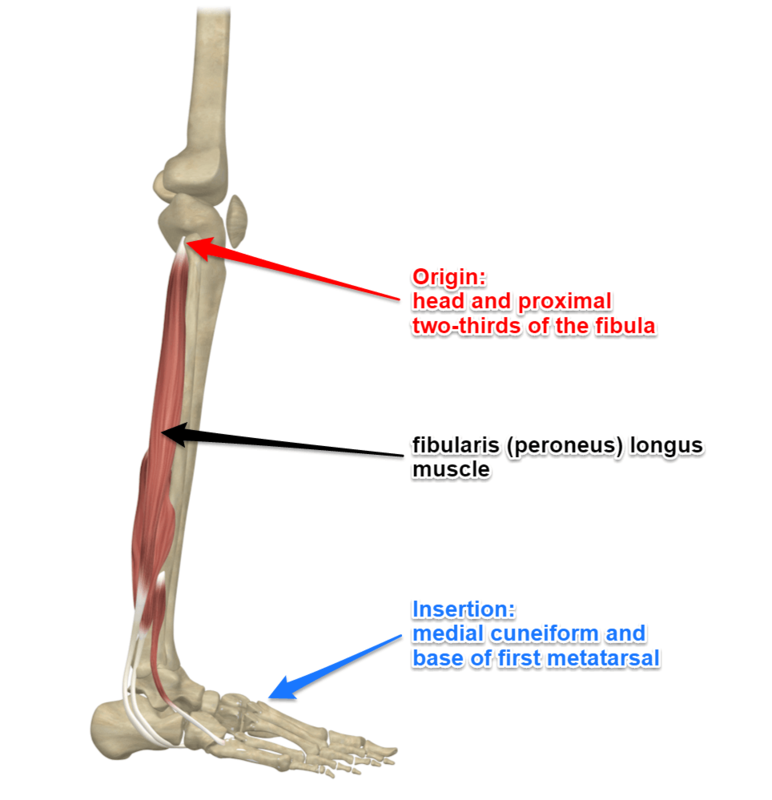 Fibularis refers to one of the lower leg bones, the fibula. 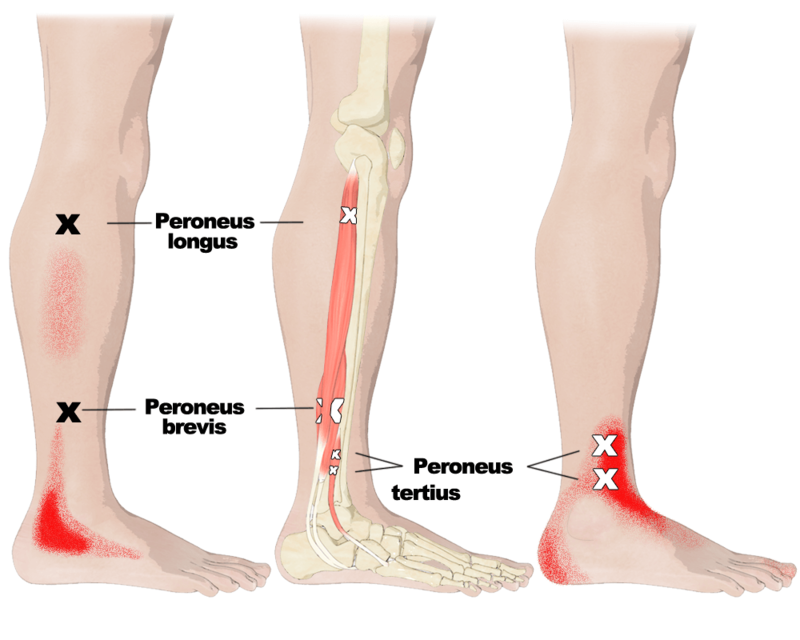 Peroneus also means “relating to the outer leg” or fibula. The word “longus” refers to this muscle being the longest of the fibularis or peroneal muscles. 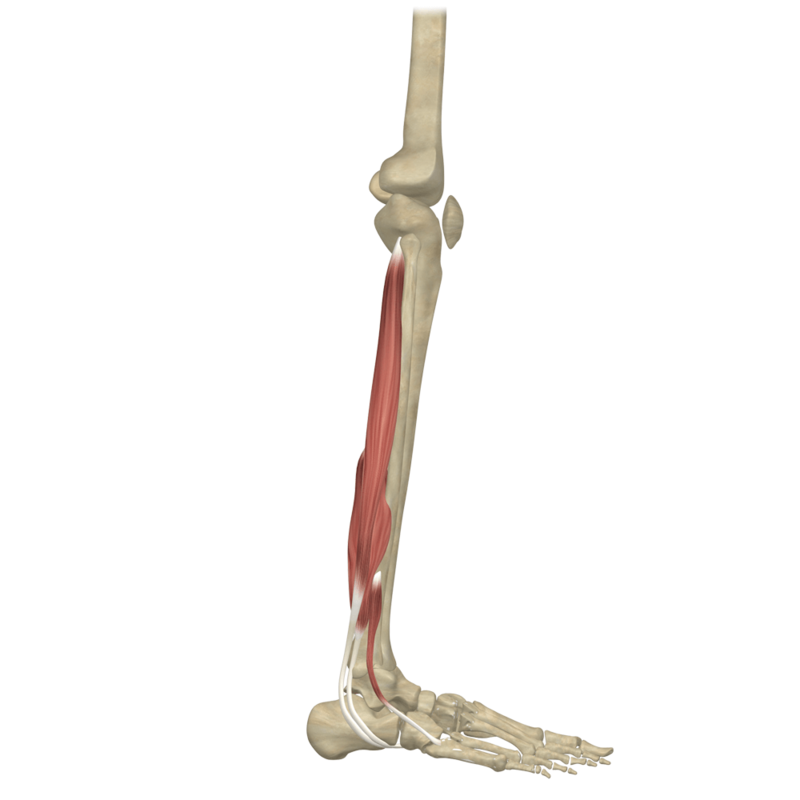 Where does the fibularis longus muscle attach? 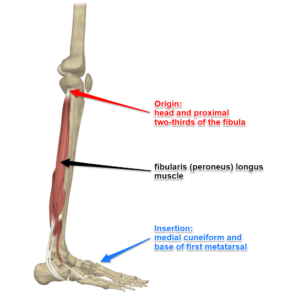 The fibularis longus muscle originates on the head and proximal two-thirds of the fibula. From the origin, the long tendon of the fibularis longus comes down behind the lateral malleolus (lateral ankle bone), then dips under the foot to cut across and get to its insertion point. It inserts on the first, or medial, cuneiform and base of the first metatarsal. What actions does the fibularis longus muscle do? The fibularis longus muscle functions to do eversion of the ankle. Additionally it assists in plantarflexion of the ankle because its tendon is behind the lateral malleolus. The fibularis longus muscle helps to stabilize us in balancing postures. Here we are in utthita hasta padangustasana. It’s not generally recommended that you stretch your fibularis longus muscles, but they are lengthened by virtue of their position. The back foot in warrior 2 with the heel down would do just that. Can you tell me the benefits of a wide leg downward dog.